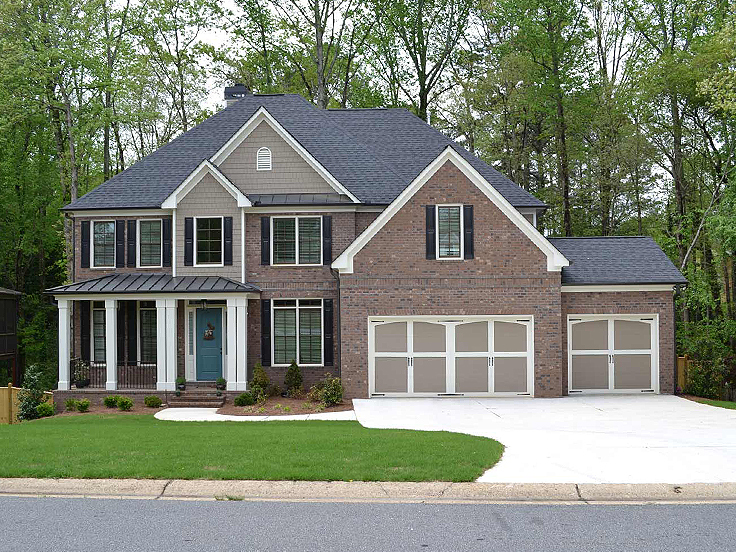 The House Plan Shop continuously adds new house plans to our website. Below is a sampling of some of our newest designs. Take some time to learn about them. 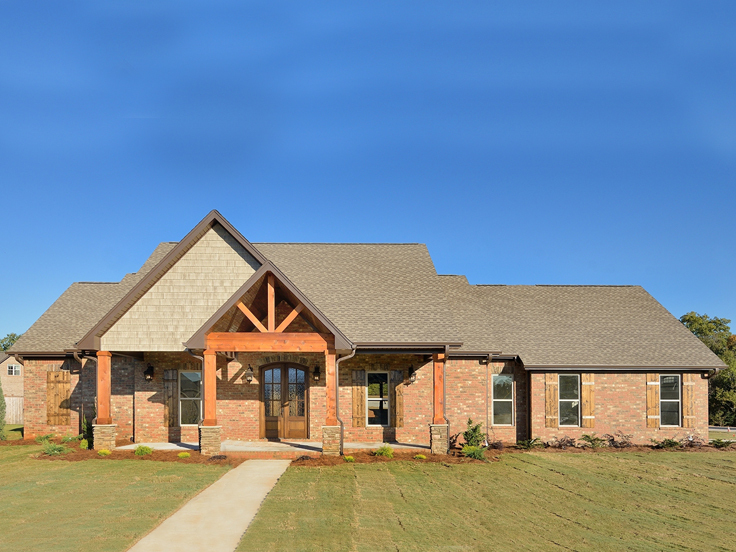 021H-0256 – This ranch house plan has all the amenities required for modern living. Its open floor plan with split-bedrooms provides comfort for every family member. Most of all, pamper yourself with the master bedroom. She gets a walk-in closet. He gets a walk-in closet. She gets a toilet and vanity. He gets a toilet and vanity. She gets a nice tub to soak in, and there is a shower to share. Separate and not equal, she gets extra shelves for her shoes. Life is good. 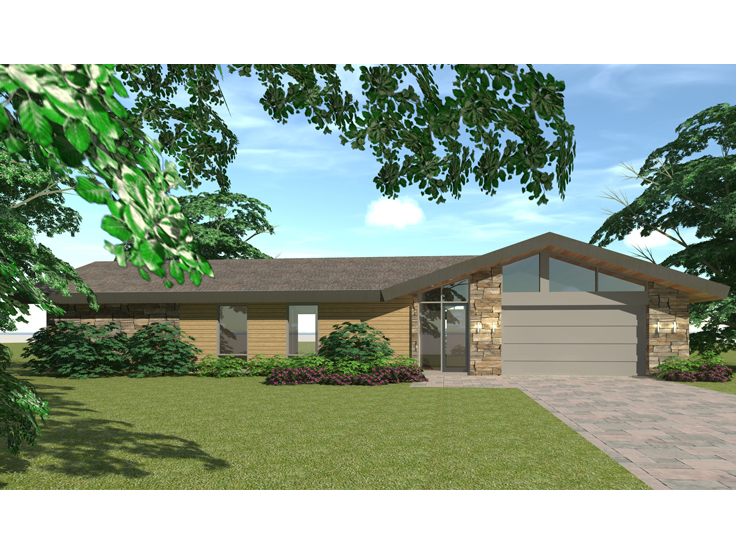 052H-0120 – Here’s a beautifully modern looking ranch house plan that is pleasing inside and out. Sliding and folding doors connect the interior to the wrap-around patio and outdoor living room. With a grill top and sink, the party outdoors will stay outdoors. Unless of course, that open floor plan with vaulted ceilings can’t be resisted. Truly the best of both worlds. 079H-0015 – No doubt about it, this two-story house plan creates interest with its exterior of multiple gables and roof ridges. Inside, find a cathedral ceiling with exposed beams sheltering the living room in this open design. The 3031 square foot floor plan offers plenty of living space and plenty of storage. Check out all the walk-in closets, walk-in pantry, garage storage room and walk-in attic. Keep a handsome roof over your family and all of their belongings with this family-friendly design. 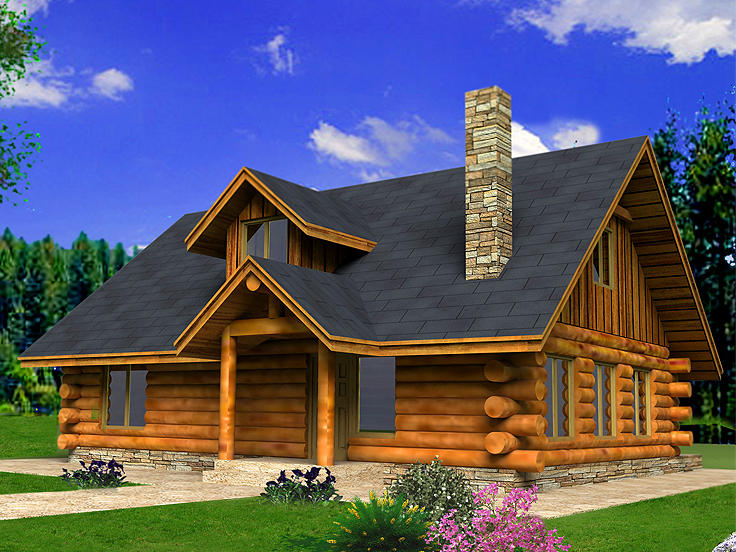 012L-0077 – Whether you are looking for a starter home or a vacation getaway, consider this log house plan. Rustic on the outside and cozy on the inside, with two bedrooms, two full baths and an open floor plan. Enjoy the outdoors on a picturesque deck that is a full eight feet wide. When it’s time to expand, utilize the bonus room upstairs offering 623 square feet of usable space. 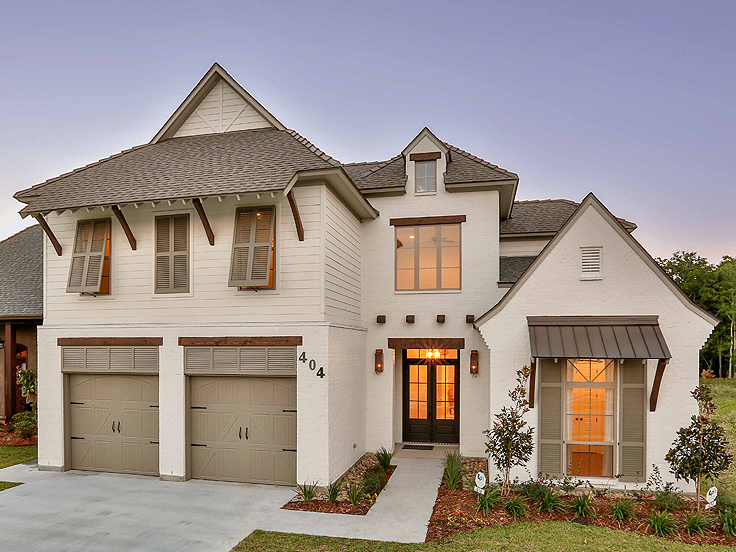 053H-0091 – With its handsome curbside appeal, this traditional house plan holds a multitude of family living spaces inside. Five bedrooms and four full baths accommodate a growing family. The open floor plan offers built-ins around the family room fireplace and a large kitchen snack bar. A grilling deck connected to a screened porch presents a great way to enjoy outdoor entertaining. No skimping on the master bedroom with its own sitting room, two huge closets and a deluxe bath. Create your own living solutions with a bonus room on the second floor. Unfinished space and optional rooms the lower level allow you to expand and grow with your family.